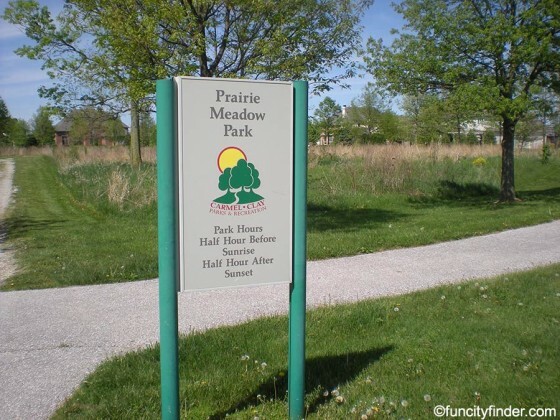 Nestled in the Plum Creek North Subdivision north of Carmel is the quaint Prairie Meadow Park in Carmel, Indiana. Prairie Meadow Park is situated on a 5 acre piece of land, making this one of the smaller Carmel parks, but it still boast notable features that make it popular among Carmel people. 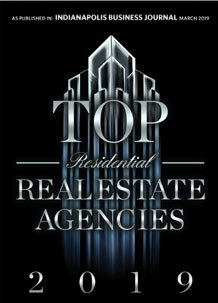 Never miss a new listing near Prairie Meadow Park! The 1/4 of a mile asphalt trail that runs through the park is a great trail for a quiet stroll or for a walk with the kids. Beautiful prairie plants line this well-kept trail creating a serene ambiance while Carmel people take a stroll through Prairie Meadow Park. Since this Carmel park is located within a Carmel subdivision, many Plum Creek North residents can be found enjoying this park on any given Indiana day. 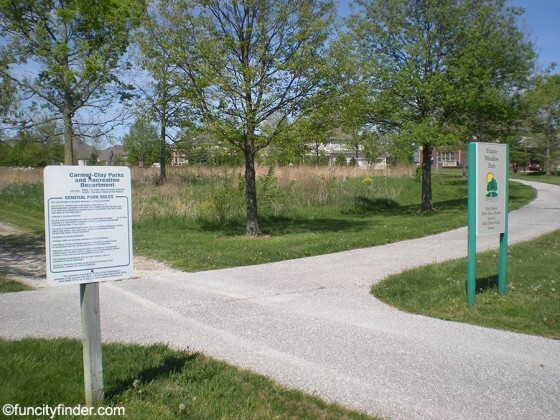 However taking the time to seek out Prairie Meadow Park is warranted due to its proximity to popular Carmel businesses and other Carmel parks such as the Lawrence W. Inlow Park located on 131st and Hazel Dell Parkway. Both parks are just within a few miles of each other making it easy for the people that make up Carmel society to check out both parks with ease, or to just stop by and take a moment to relax while out running errands. 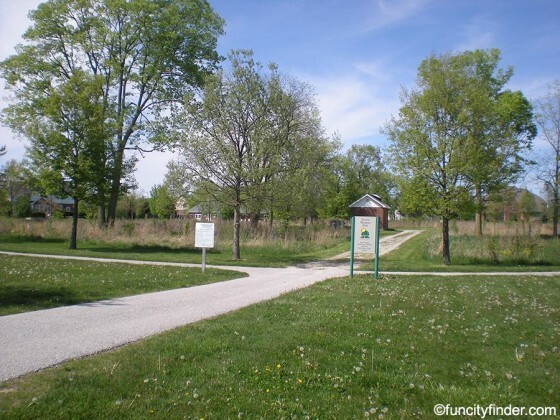 Carmel, Indiana has a number of popular parks, such as the Prairie Meadow Park, that are just a sort drive from Indianapolis and are great Carmel day trip destinations. Carmel children and their families enjoy the amenities these Carmel parks have to offer, and Prairie Meadow Park is no exception.